Scandi Mini is the online shopping destination for parents who love individual design and looking for something a bit different for their children. 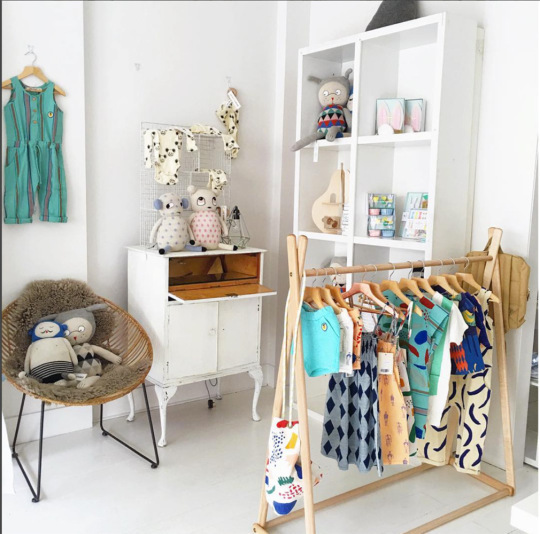 The boutique showcases ‘small fashion’ that is big on style, whether that’s a funky print or more minimalistic styling, a beautiful designed wooden toy or liberty print bedlinen. Scani Mini’s style is a mix between monochrome and bohemian, minimalistic and cute, bold and subdued. Founded in 2011 by the charismatic Swedish lady Gabrielle Spång, Scandi Mini was originally born out of Gabrielle’s desire to dress her son in an understated, cool yet comfortable minimalist clothing without fuss and gender stereotyping. Determined to demonstrate that there was a different way to dress children, Gabrielle, armed with an impeccable Scandi(navian) sense of style, embarked on a mission to enlist the world’s most gorgeous independent kids labels, favouring those that were small, almost unknown, who made clothes to last, using artisanal methods with eco friendly and social credentials. 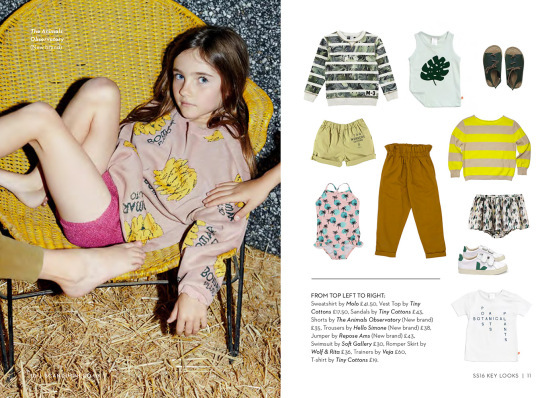 Today Scandi Mini is a globally recognised player in kids fashion and lifestyle retail, curating over 150 brands and shipping worldwide. With a popular Instagram account, the business engages on a daily basis with customers. Recently the first showroom opened in West London and 2016 marks the brand turning 5. So stay tuned to be updated with Scandi news! How have you found the name of your store? Is there an anecdote to tell? I came up with the name Scandinavian Minimall initially, and that was the store’s name until a year ago… with Minimall being a blend of Mall for store and Minimal as in minimalistic. However, I must confess, it wasn’t the greatest name as it was way too long and combined with my first name Gabrielle, I must have had the longest email address in history ;). 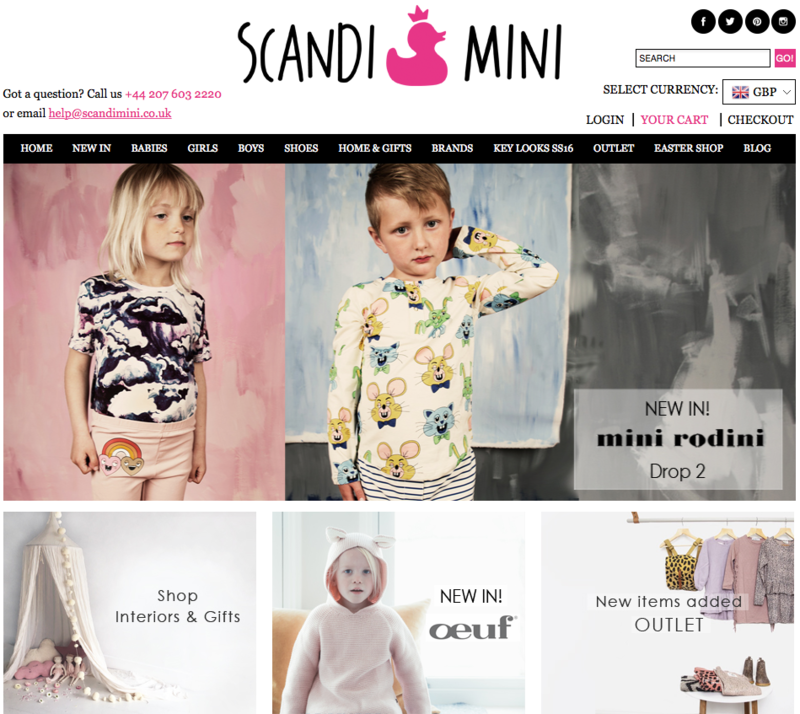 Scandi Mini is the short version and I am so happy we changed our name. No more spelling out my email or website address for hours. How would you describe the concept of your store? I love simple designs, black&greys – so in many ways the concept is quite minimalist. But as we’re selling for children I wanted to add in a touch of fun, a bit of bohemia and of course uniqueness. All in all, that is what summarises Scandi Mini: minimalist with a bohemian edge. Which labels did you present from the beginning and which are the latest new labels you added? From the very start we sold BangBang Copenhagen, Mini Rodini, Finger In the Nose, Lucky Boy Sunday and actually quite a few that are now not around anymore. There are so many small brands in this industry and it’s really hard to survive with all that competition. 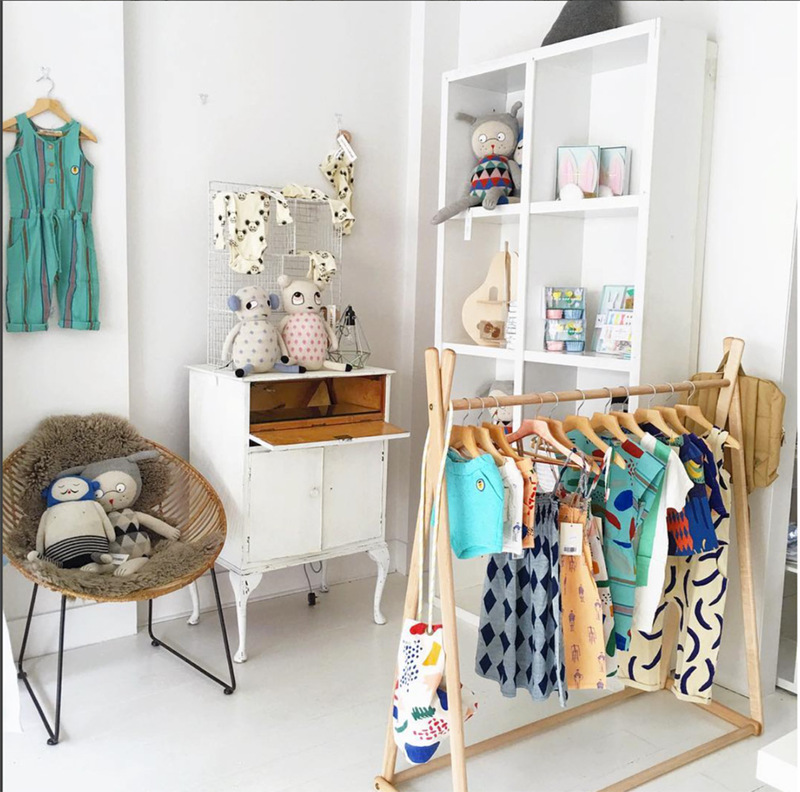 I also found Bobo Choses from quite an early stage and since then we’ve probably added around 30 labels per year with our most recent additions being some of our favourites: The Animals Observatory, Stella McCartney Kids and Tiny Cottons amongst many others. Do you have a hint for parents when shopping for their kids? My own ethos is to buy quality and long lasting fun designs that showcase your child’s personality. 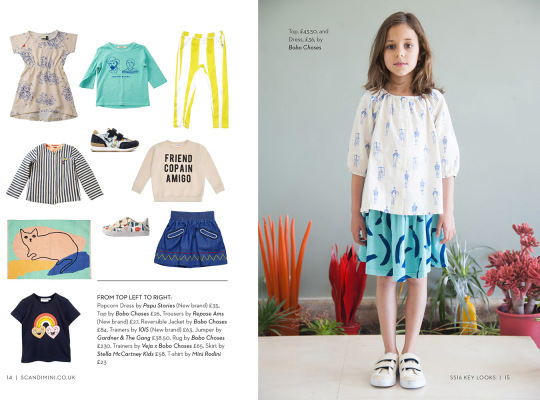 And never be afraid to mix and match, although I am not really a print on print person myself, so I usually dress my children in simple designs with one ‘wow‘ item to make them stand out. You are based in London. What’s the best place for kids there? You can’t go wrong with The Natural History Museum, The Playground in Hyde Park which has a pirate ship or Hamley’s Toy Store – although your children may never want to leave. For older children there are fantastic London city bus tours, or cool places like Shoreditch or Portobello Road in Notting Hill to visit. It’s a vibrant city with many sides to it. What was your favorite outfit when you were a child? My parents were obsessed with Swedish unisex children’s store Polarn&Pyret and the colour red, so pretty much all the photos of me as a child is me dressed in variants of their now famous red and white stripe clothes. I do however remember on one occasion aged 6 when I was dressed in a beautiful flower dress with bows which was blue. I felt so pretty. And for some funny reason red is probably the only colour I really don’t like that much now ;). We have so many exciting projects going on currently, amongst them our 5th birthday event in May, as well as a new showroom and much more. The only challenge now is to find the time to execute it all really well, we’re still a very small team. How do you think online shops will evolve in the next future? Selling via social media channels such as Instagram and Pinterest or even video channels like Snapchat or Youtube is where I think it’s at and if you can integrate these channels well within your website you will most definitely have the edge. Are you realizing mood images for your website? If so, do you think that these images could influence the shopping experience of the costumer? We are currently in the process of setting up and shooting our second lookbook which will also be included on the website. I really think these types of images work, as people, including myself, love getting inspiration and see trends emerging. kids and internet…..what do you think about it? My son aged 7 has just started his own Instagram account. You just have to be very careful and ensure he understands that he can’t give out any sensitive information there or meet up with anyone without us knowing about it. At the same time it opens up a whole world of information and online he can follow his heroes in skiing and football as well as those YouTube channels both of our children love watching. But we do also limit their time online, it’s so important children have access to a lot of play when they are small, it really helps them form their own personalities as well as friendships. What is your favorite website? And Instagram account? I love a bit of online shopping but I also love getting inspiration and perspective with regards to how I run my business as well as my own life. I’d probably say websites like The Greatist, Stylebop.com and The Collective Hub are all up there amongst my favourites. As for the Instagram account, I love the style of happilygrey.